The body styles and finishes of most cars out on the road today may not feel too distant from the last few decades of their predecessors, yet major developments are continuing to change the face of automobiles as we know them. 1996’s On-Board Diagnostics II, originally dubbed the ‘idiot light,’ was the precursor to today’s sensors and controls that enable drivers to rest assured their car is well-maintained. Since 2001 Bluetooth connected cars have shifted convenience and safety in the automotive industry. In 1973, Oldsmobile Toronado was the first car with a passenger airbag for the public. Now standardized in car production, the airbag is unparalleled in how it improved safety in automobiles. 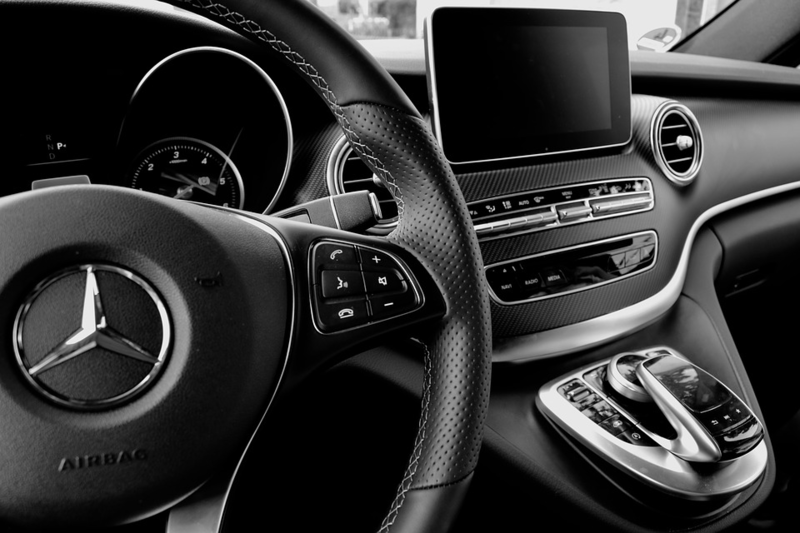 It’s difficult to imagine buying a brand new vehicle without top-of-the-line airbags, on-board diagnostics, or native Bluetooth connectivity. Tomorrow’s ubiquitous feature will be wireless power. Like on-board diagnostics, it will free drivers from technical maintenance worries; like bluetooth, it will take in-car convenience to new heights by untethering equipment; like airbags, it will become a standard in vehicle production. But there is a major hurdle with today’s wireless power options: proprietary charging pads can deliver power to only a few devices at a time that are completely still, within a few inches proximity of the pad, and not in use. Chargers plugged into the car are limiting; USB car chargers have limited amperage that can barely keep up with active device use. Devices powered by batteries are bulky and keep consumers in a use-then replace feedback loop. Thankfully the alternative is here and can keep all of the vehicle’s occupants safe, comfortable, connected, and informed. Cell phones, tablets, and other wireless devices are expected to exceed twenty-five billion by 2023 and Cota Real Wireless Power offers the opportunity to provide new conveniences for every passenger in a vehicle by automatically charging each personal device without a cord. Not only will travelers’ personal devices be charged continuously, but also keyfobs, smart mirrors, medical devices, and much more can enjoy simultaneous charging. As automobiles are becoming part of the Internet of Things -- in 2021, 94 million connected cars will ship, totalling 82% of all cars shipped in that year -- wireless power is also instrumental for sensors that gauge temperature, air pressure, fluid levels, location, and much more. With wireless power, drivers and mechanics can have access to more complex vehicle data in real time, keeping cars better maintained and drivers better informed. New insights into driving and vehicle performance can be leveraged with access to a combination of mechanical and location-based data. Ossia joined forces with Motherson Innovations in the Joint Venture (JV) with the objective of in-cabin installations powered by Cota® technology in the market by 2021. It would deliver continuous wireless power to passengers personal devices and power various sensors throughout the vehicle. Read more on the blog. Innovating today’s cars with real wireless power is a differentiator on par with yesterday’s Bluetooth and yesteryear’s airbags. It will define the next leader in automotive excellence. The early adopters will win the race. Automotive innovation is nowhere near its ceiling, so let your imagination be your only limitation and read on about the new face of smart automotive innovation here!